Bose PowerShare PS604A adaptable power amplifier delivers 600 watts for fixed-install applications. Through patented technology, total amplifier power is shared across all output channels, allowing installers the freedom to utilize power where needed. With support for both low- and high-impedance loads up to 100V, PowerShare amplifiers adapt to a wide range of applications. Onboard configurable loudspeaker processing and direct access to zone controllers eliminate the need for an additional signal processor in many installations, while outstanding audio performance and reliability are assured with patented technologies inherited from the field-proven PowerMatch® line. With the inclusion of AmpLink, up to 24 digital audio channels can be sent to the amp from a Bose DSP via a shielded CAT 5 cable. This unique set of features and technologies makes PowerShare one of the most versatile high-performance amplifiers available. PowerShare Technology – Patented PowerShare technology allows the total 600 watts of power to be shared asymmetrically across all outputs, as each output is capable of delivering full power. Instead of selecting amplifier power based on the needs of the largest zone, installers now have the freedom to use total amplifier power in the application. This enables more flexibility during the initial design, or later on-site when making unplanned changes that take advantage of surplus power. Load-Independent Outputs – Each channel can be configured for low-impedance (4-8 Ω) or high-impedance (70/100V) applications without bridging, use of jumpers, or software settings. DFL™ System – The Dual Feedback Loop system, inherited from the field-proven Bose PowerMatch® amplifier line, improves performance and reliability through continuous monitoring and control of both the current and voltage delivered to each output load. This combination provides improved linearity and lower distortion, while protecting loudspeakers. Integrated Loudspeaker Processing with Optional PowerShare Editor Configuration – For applications requiring additional signal processing the PowerShare Editor Software offers real-time selection and control of Bose loudspeaker EQs, 9-band PEQs, matrix mixing, crossover, delay, and mute/output polarity through a USB connection. For basic setups without a PC, rear-panel settings allow installers to recall Bose loudspeaker equalization and protection per output channel. 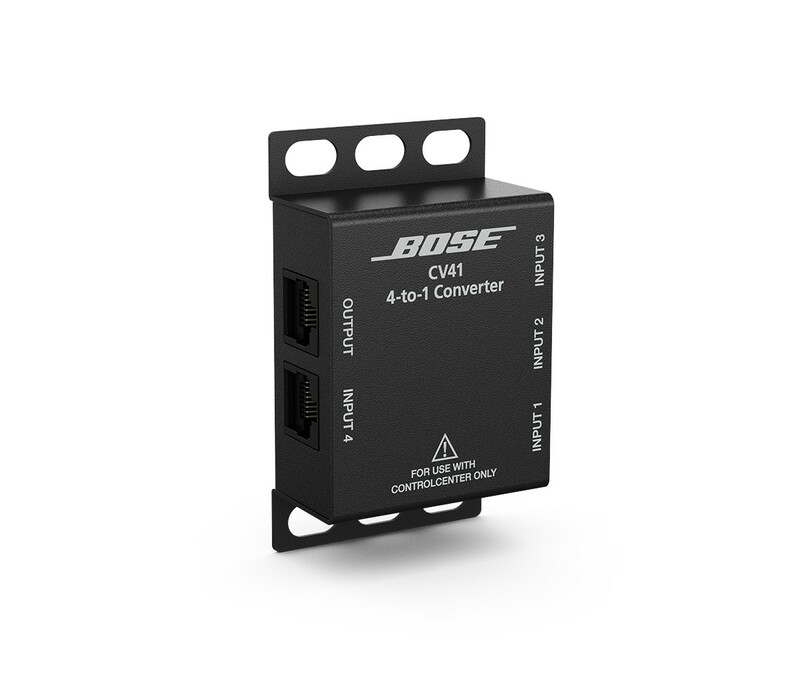 These features eliminate the need for an external signal processor in many applications. AmpLink – Transports up to 24 uncompressed, near zero latency, digital audio channels between Bose DSPs and the PowerShare PS604A via shielded CAT 5 cable. The amp also supports a THRU path for daisychaining up to 8 other Bose AmpLink amplifiers, at a distance of up to 10 m between products. Any combination of AmpLink amplifiers can be daisychained. 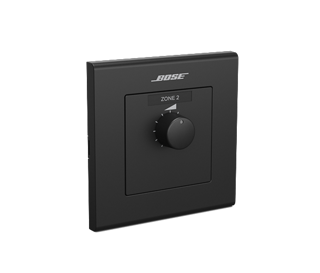 ControlCenter Zone Controller Accessories – Bose ControlCenter CC-1 zone controllers can be directly attached for remote adjustment of amplifier outputs, further extending stand-alone amplifier applications. Auto-Standby – Designed to save power consumption when not in use. PowerShare amplifiers can be configured to automatically enter standby mode when the audio signal falls below a set threshold, then wake when audio returns.